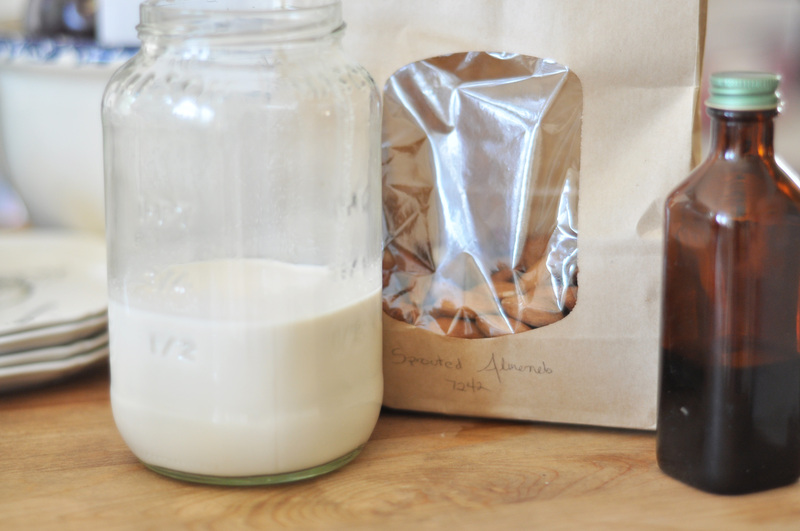 While we love the convenience of just running to the store and picking up a carton of milk, if there’s a way we can make it, we prefer to do it ourselves. 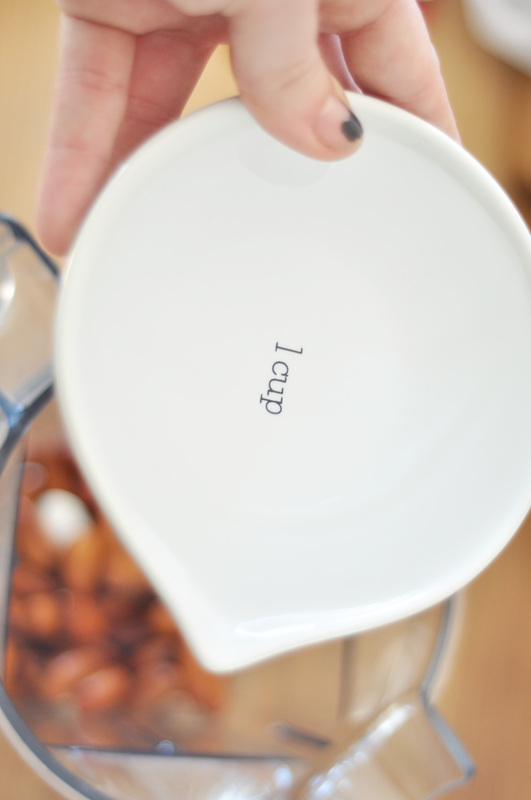 That way, we know exactly what’s going into our food (and drinks! 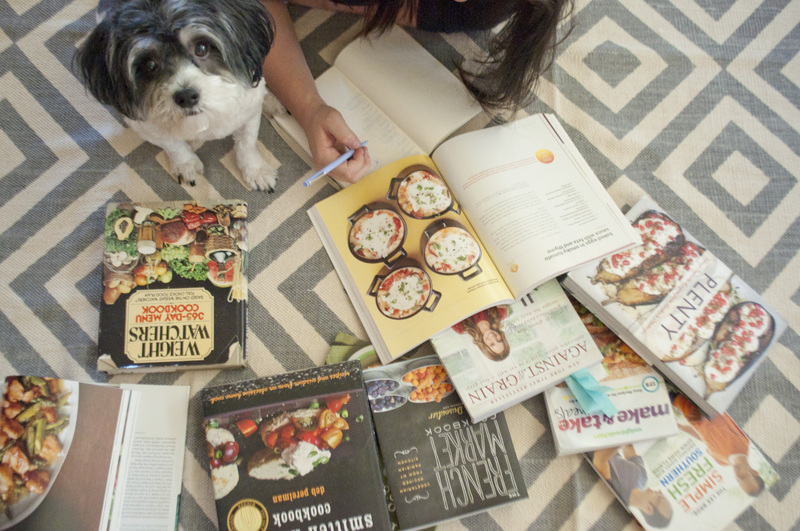 )–no ingredients that we don’t approve, all chosen by us. 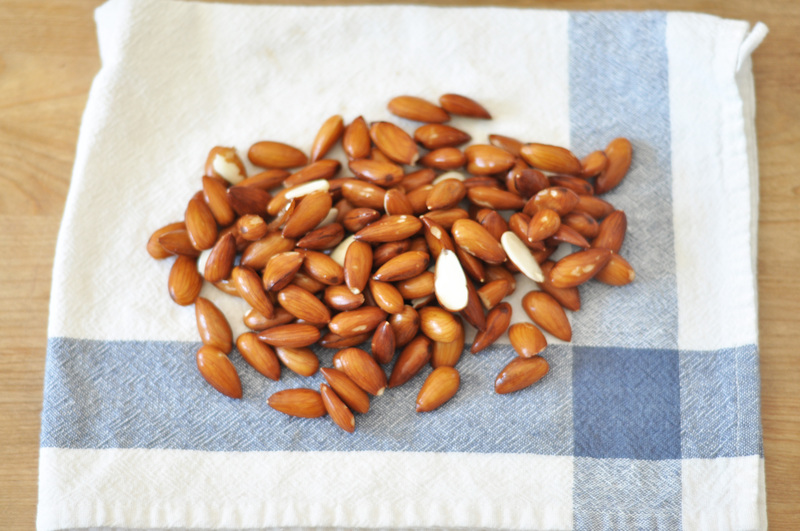 It was for this reason that we decided to try our hand at some homemade almond milk. 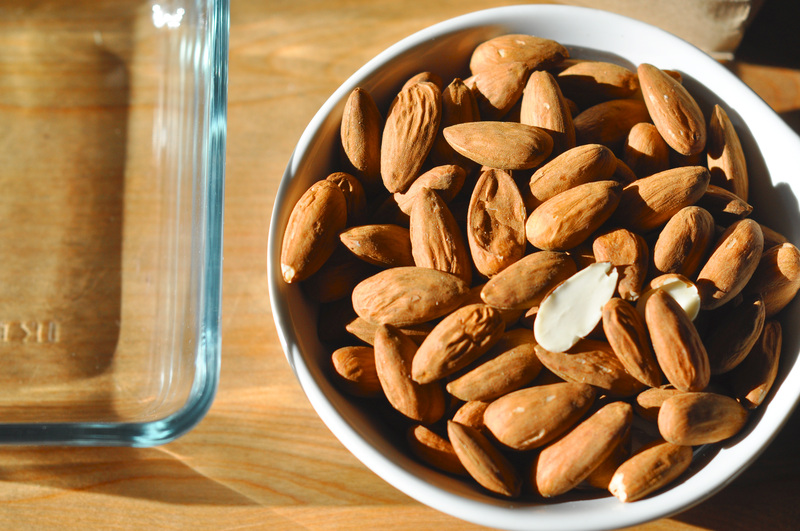 With just four ingredients, this almond milk turned out to be some of the best we’ve ever had. 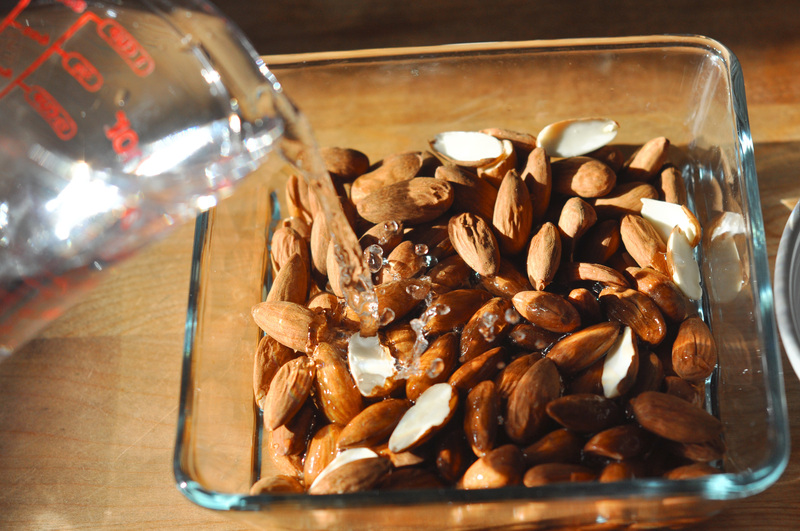 Soak 1 cup of almonds in 1 cup of water for 24 hours. 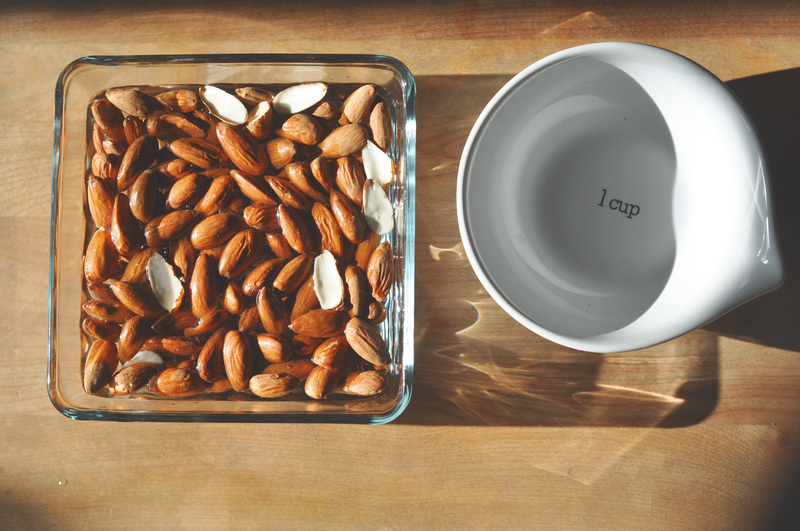 The longer the almonds soak, the better. 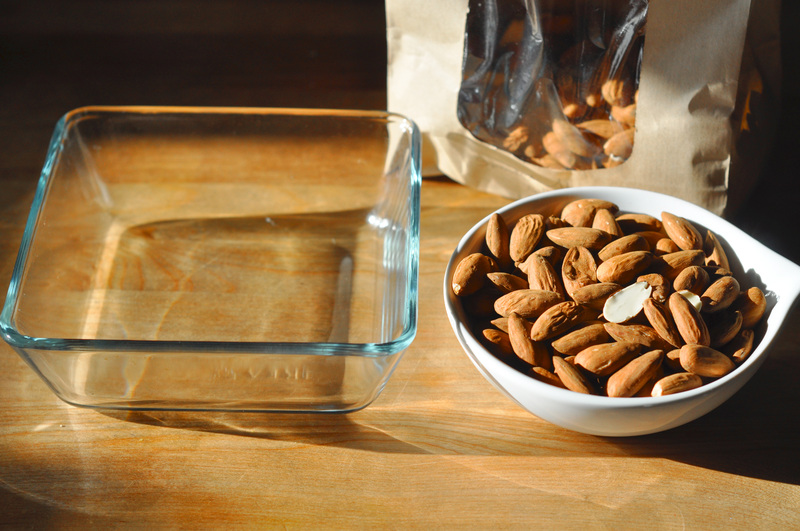 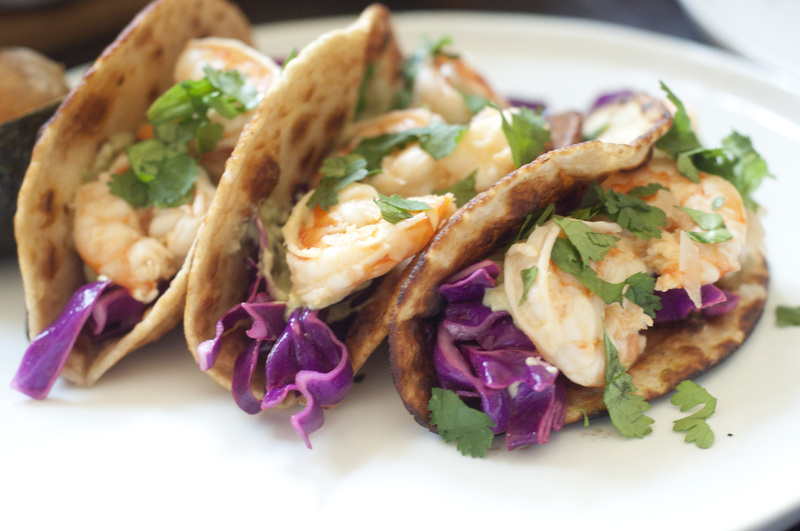 We’ve read that you can/should soak them up to 5 days, but 24 hours works well, too. 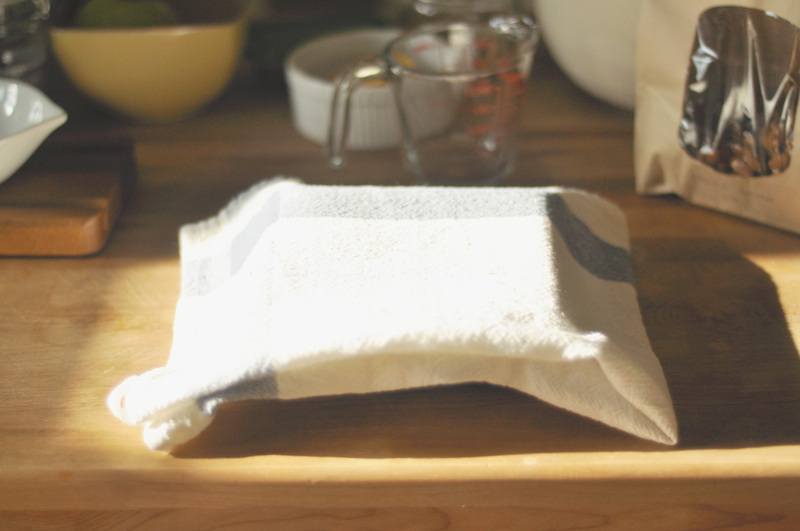 Make sure to cover them so nothing gets in. 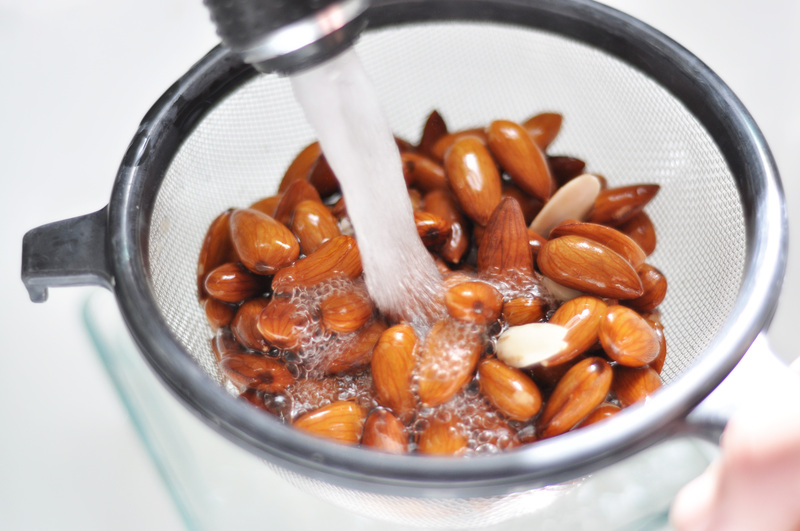 Rinse almonds, and put them in the blender. 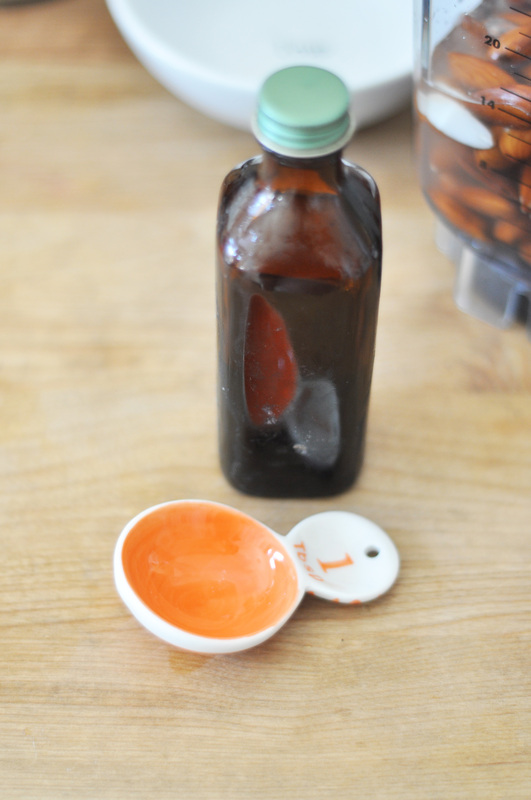 Add all other ingredients: vanilla, agave syrup, and water. 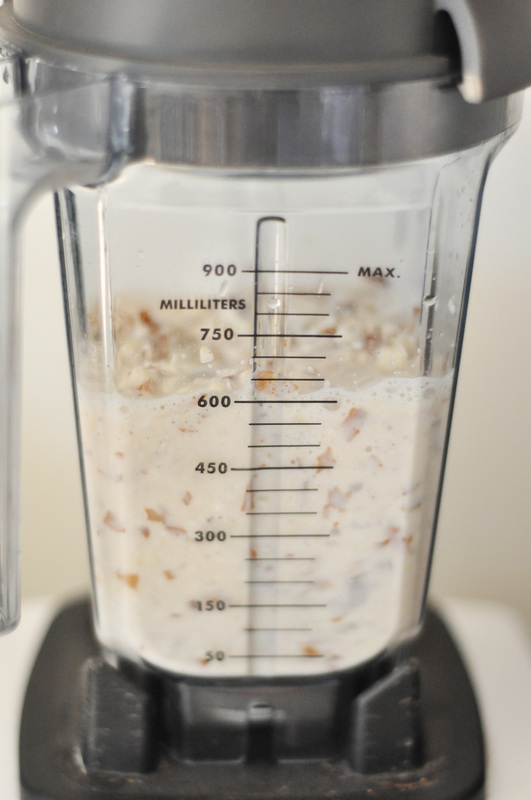 We found 1 1/2 cups of water was just enough for our almond milk to be on the creamier side (you can always add more or less depending on your taste). 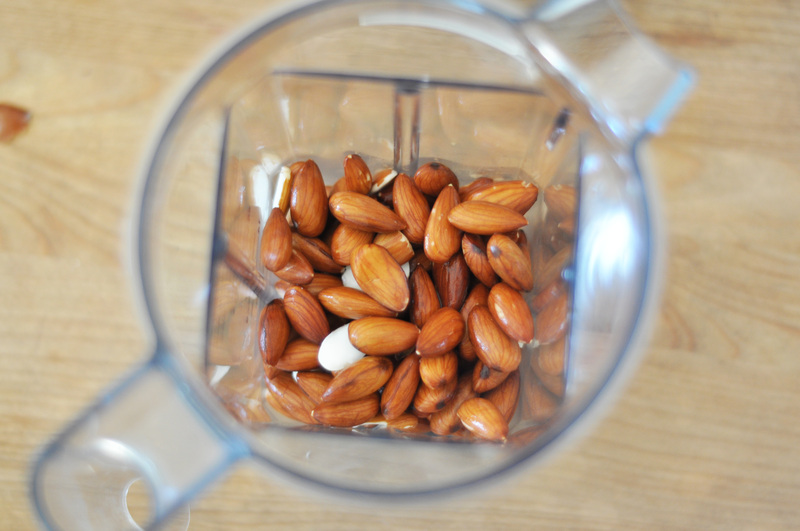 Blend almonds until fully smooth. 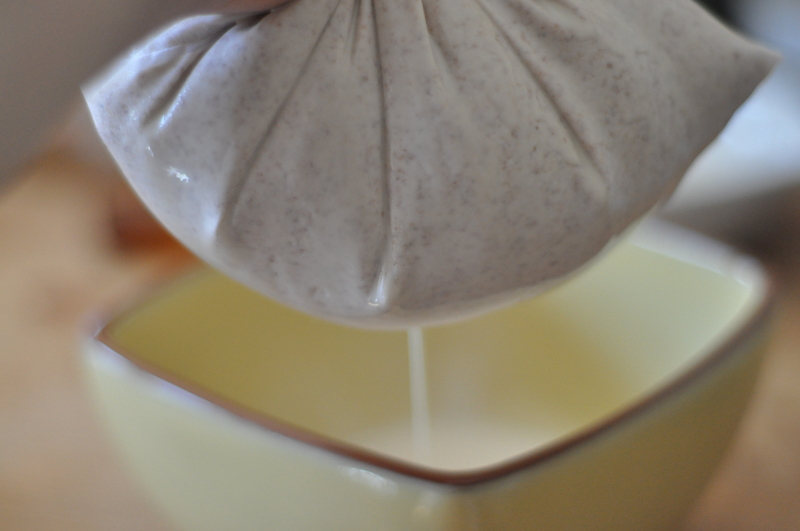 Pour out into cheese cloth or nut bag. 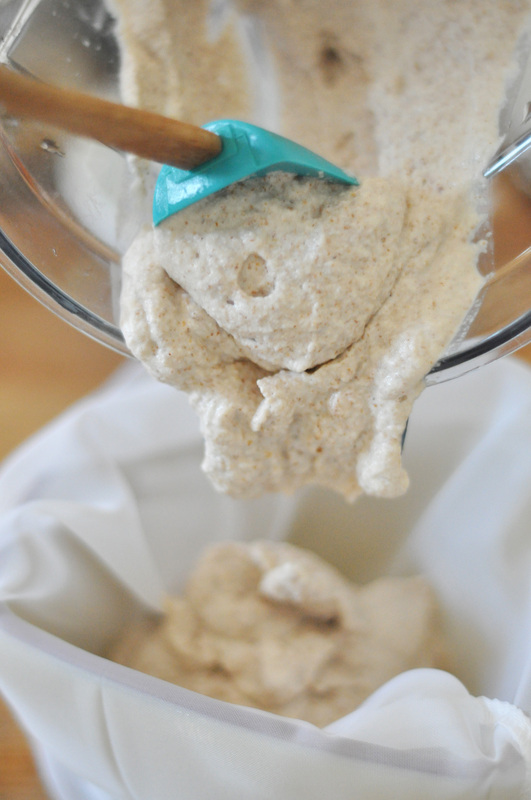 Gently squeeze, and the almond milk will seep out!